Before performing radiation therapy, radiation oncologists first carefully review medical images of a patient to identify the gross tumor volume—the observable portion of the disease. They then design patient-specific clinical target volumes that include surrounding tissues, since these regions can hide cancerous cells and provide pathways for metastasis. The deep learning algorithm he developed uses auto-encoders—a form of neural networks that can learn how to represent datasets—to identify and recreate physician contouring patterns. 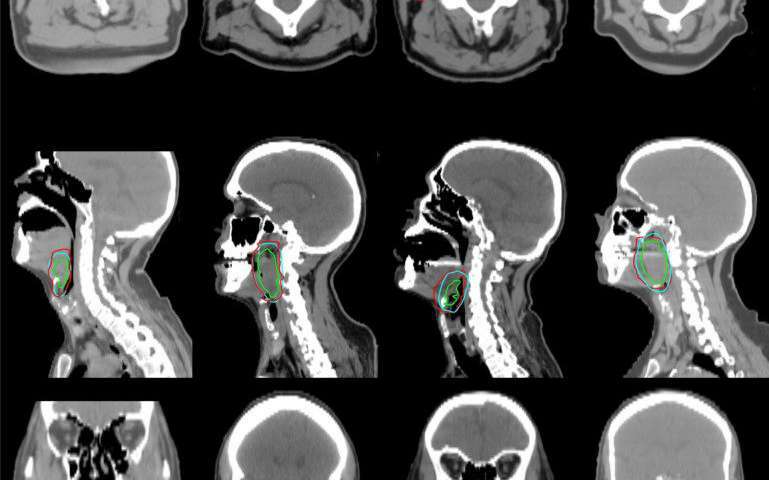 The model uses the gross tumor volume and distance map information from surrounding anatomic structures as its inputs. It then classifies the data to identify voxels—three-dimensional pixels—that are part of the high-risk clinical target volumes. In oropharyngeal cancer cases, the head and neck are usually treated with different volumes for high, low and intermediate risk. The paper described automating the target for the high-risk areas. Additional forthcoming papers will describe the low and intermediate predictions.